The Squid and the Whale is the third film from writer/director Noah Baumbach, who has mostly been known for his collaborations with fellow filmmaker Wes Anderson. Like Anderson’s films, The Squid and the Whale is a dark comedy of sorts but one with a truly unique and cynical outlook on divorce, sexuality and family life. What makes this film so great is the superb writing. The characters are multilayerd and complex, brought to life by an amazing cast (Jeff Daniels, Jesse Eisenberg, Laura Linney, Owen Kline, William Baldwin and Anna Paquin), and the story is rich and engaging. The film’s unique style, production design and soundtrack creates a vivid image of a moving New York during the 1980’s and the editing is fast paced, which constantly keeps the audience on-edge. The way this film builds tension is incredible. What starts out as a seemingly simple premise quickly escalates into an unpredictable and deeply-moving drama that reaches an emotionally human core. 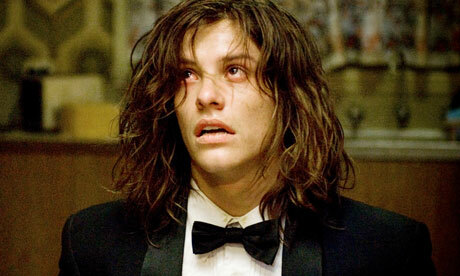 I was surprised at how much I laughed during this movie considering how terribly depressing it really is. The film is also loaded with carefully-placed subtleties that give new insights into the characters, making repeated viewings a must. Independent film really doesn’t get much better than this. I’m going to try and update this thing more regularly, even if it’s just a quickie review of something I have seen recently. I’m also going to try and talk about classics as well as some of the newer stuff I get my hands on. – Holy smokes. what a twisted movie. It is not everyday you see a teen horror film that is so chilling, disgusting and fun. After seeing last year’s Snowtown, I know for certainty that when it comes to the disturbing and macabre, Australians do it best. While it has it’s cliche’ moments and becomes a bit predictable, there are enough twists and WTF moments to make this stand out among others of the genre. – I finally got around to seeing this cult classic and, while it is a bit slow at first, The Warriors was an overly entertaining and satisfying movie. The stylized story about gangs in a post-modern NYC goes places I wasn’t expecting and the ending was fantastic. Also a huge fan of the film’s score and wonderful costumes. I absolutely loved this movie. Park Chan-wook is no doubt one of the best directors working today, and he demonstrates his knowledge and passion for filmmaking perfectly in Thirst. The story revolves around a priest-turned-vampire who is desperately trying to tame his appetite for bloodshed while at the same time helping a family in need. 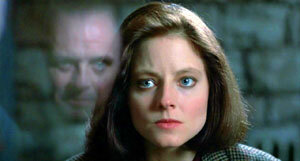 The film is incredibly unpredictable and beautifully shot. If the thought of blood grosses you out, you are better off avoiding this entirely, but if you have a thirst for the dark and disturbing – of if your tired of seeing the same old vampire movie – give this one a go. You won’t be disappointed. Amelie tells the story of a French twenty-something year-old girl. She fantasizes about many things including dipping her hands into a bag of grain and cracking fresh creme’ brûlée’ with a spoon. Trapped somewhere between a naive childhood fantasy and the impending responsibility of adulthood, Amelie’s life takes a turn when she (though rather unknowingly) falls in love. Amelie, as a film, is a montage of sorts about the small pleasures of life. Like watching a laughing baby or a litter of puppies, the film is an enchanting delight that is easy to get immersed into. There is something universally charming about Amelie, both her character and the world in which she lives. The colorful characters and remarkable production design give the film an animated vibrance that was unlike anything I have ever seen. Some say this is a romance film done in the style of Woody Allen, others will point to the dark comedies reminiscent of Wes Anderson, or John Hughes. I liked this film best for it’s wonderful use of music, story, cinematography and performances which really leave a lasting impression. Technically, Amelie is flawless, but it’s the emotions and vibrance of the film which make it a mesmerizing and overall enchanting piece of cinema. One of my all time favorite French films. A man wakes up in the Texan desert, and seems to wander around endlessly amongst the dirt, rocks and infinite countryside. For much of Paris, Texas this is all we know. Who is this man? What has he been doing all this time in the desert? What is so special about Paris, Texas anyway? This is a very simple film, but also very engaging in that it asked us to ask questions. Paris, Texas is so brilliant because it is so simple. There are no distractions; no car chases, no fight scenes, no gimmicks – just pure emotion and engrossing storytelling. It is a very personal story, with great and memorable characters who are relatable and unpredictable. 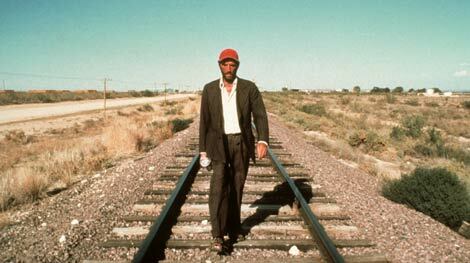 Paris, Texas also works because it has some of the best film acting and natural cinematography I have ever seen. At 147 minutes long, the film is a bit of stretch, and it does get a bit uncomfortably lengthy at the end, but Paris, Texas is simply a brilliant and well-made film. Wim Wenders knows how to grab people’s emotions, and he does so effortlessly with this film. So I recently rewatched The Lion King and being around 15 years since I have last seen it, I picked up on a few things. Firstly, this film boats some top-notch animation. The blu-ray transfer looks especially stunning and the way that the painted backgrounds blend in looks fantastic. Visuals aside, The Lion king is pretty much your standard-formula Disney flick, but it does have some themes that adults can pick-up on. A lot of themes actually. Race, gender, politics, family and romance are a few of the more obvious ones. The plot is both entertaining and thought-provoking, but it does have some flaws. For example: what’s the deal with Rafeki? The all-knowing monkey-shaman just kinda pops up out of nowhere and seems to have the magic answer for everything. Whats his story? 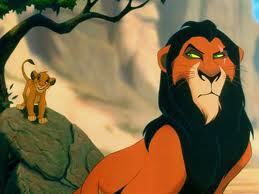 Why couldn’t he become king of the jungle if he knew so much? He sure would have done a much better job than Simba. Anyway, enough nit-picking. The Lion King is one of the better Disney animations out there and it has some really memorable characters that give life to the story. The film also is the perfect prototype for your classic hollywood structure and it set the bar for kid-friendly animation films of the late 90’s. I give it praise for having the music and comedy to keep the kids at bay while also giving something for the adults to chew on. A must-see for Disney fans.